You need to buy your Halloween pumpkin sooner rater than later, as reports tell me that the poor summer weather has halted crop yields. 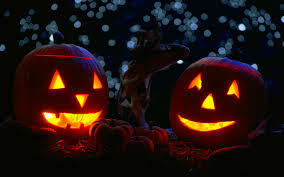 Yes, if you are planning to carve a pumpkin to celebrate the time of witches and creepy creatures, then avoid the shortages of the pumpkin in the run-up to October 31st. Fruit and vegetable growers have said that despite a promising start to the growing season, the heavy rain in August dampened hopes of a bumper harvest. It has meant that the pumpkins spent a month sitting on wet soil, causing many of them to rot. Added to this, retailers will not take any fruit with minor blemishes or soft spots because these progress into full-blown issues in the supermarket's depots and stores, where they become 'pumpkin soup'. Yields are about 50% down on the original planned crop. 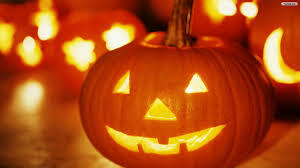 The pumpkin industry is worth about £6 million and an estimated 10 million are grown in the UK every year. Sainsbury's is reported to have said that it expects its customers to buy around a million pumpkins from next Saturday, in the week leading up to Halloween. However, be warned, you could face high prices, due to extra costs in the supply chain caused by the high wastage. Despite the shortfall, you can find a more unusual Halloween treat at Morrisons supermarket this year, where ghostly-looking polar bear pumpkins - also know as albino or snowball pumpkins, are on sale. It is the first UK supermarket to make the white squashes widely available. At only £3 each, I'm told that they are ideal for carving Halloween lanterns. 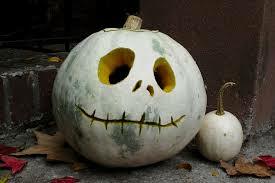 While their skin is white, the flesh of the pumpkin remains a familiar orange.